"If we don't escape, we'll die..."
The Academy has not been tagged yet. 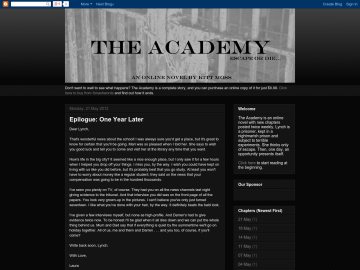 Help others find The Academy by tagging it! The Academy has not been reviewed yet. The Academy has not been recommended yet.